If you've watched a few football games in your life, chances are you've seen Ed Hochuli. The official is probably the most muscular in the league, his biceps seeming like they might rip out of his uniform at any moment. He's also known for his incredibly thorough explanations of penalties and challenges, handling each description like it's a master's thesis. This season was Hochuli's 26th as an official, and while he won't be officiating the Super Bowl, he's still been involved in many memorable games. He was the head official when Brett Favre broke the record for career completions, and actually informed the unaware Favre that he had set the record. He also officiated the 62-7 Jaguars victory over the Dolphins, the final game in the careers of Dan Marino and Jimmy Johnson. He's international, too, leading the officiating crew for the first NFL game in Mexico. And he's also witnessed complete disaster: he was in charge when the Detroit Lions became the first and only team in NFL history to finish 0-16. What you might not consider is that being an NFL official is only a part-time job. Sure, officials are expected to spend 35-40 hours a week preparing for games–we all saw what happened when the replacement officials took over–and though Hochuli makes about $200,000 a year from officiating football games, he has an entirely separate day job. Hochuli got an early start in football, playing in both high school (in Arizona) and in college (at UTEP). His father was involved with the law as a wills and estate planner, so Hochuli pursued a law degree from the University of Arizona after graduating from UTEP. He earned his Juris Doctor in 1976, was admitted to the State Bar of Arizona the same year and served as a law clerk for two years under United States District Judge Carl Muecke. In 1977, Hochuli joined the U.S. District Court in Arizona, and in 1981, he was admitted to the 9th Circuit of the U.S. Court of Appeals. 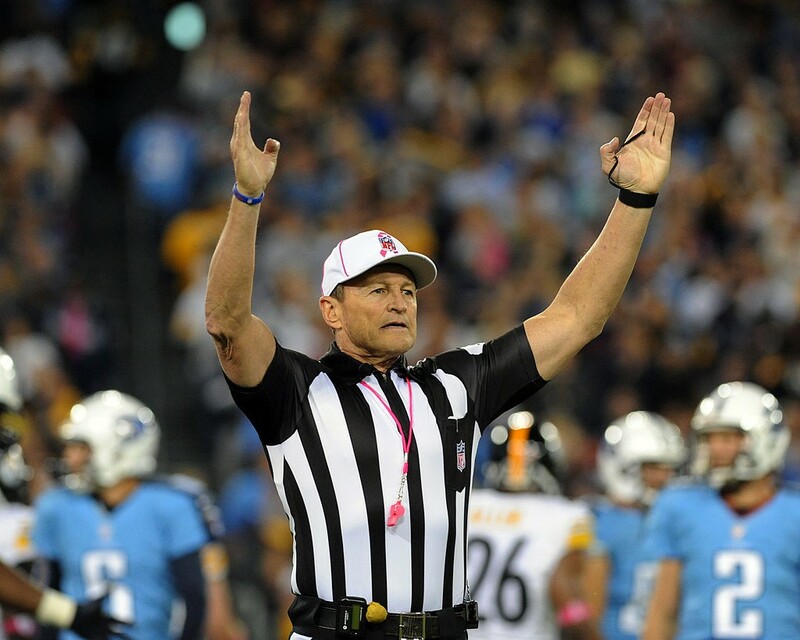 In order to earn additional income during law school, Hochuli began officiating Pop Warner football games and also served as an umpire in Little League baseball games. In 1973, he progressed to the high school level, officiating football games throughout the Tucson metropolitan area until 1985. He also got his first taste of college ball during the 80s, officiating Big Sky and Pac-10 conference games. Before he made it to the NFL, Hochuli co-founded the Arizona law firm of Jones, Skelton and Hochuli, P.L.C. in 1983. He's a partner to this day and has seen the firm grow from five partners and seven associates to more than 80 attorneys. Hochuli's specialty is civil litigation in areas of Bad Faith and Extra-Contractual Liability, Complex Litigation, Insurance Coverage and Fraud, Legal Malpractice and Professional Liability, Product Liability Defense, Trucking and Transportation Industry Defense, and Wrongful Death and Personal Injury Defense. He claims to be involved in 200 cases at any time and has tried nearly that many to verdict. He's not bad in the courtroom, either: Hochuli has been named a part of the Best Lawyers in America since 2003 and Southwest Super Lawyers in 2007. Super Lawyers include just the top five percent of lawyers in a state based on point totals, and are selected by peers and through independent research. He's also a member of the Federation of Defense and Corporate Counsel and is an advocate member of the American Board of Trial Advocates. And he's on the board of directors and executive committee of the USLAW Network. In 1990, Hochuli made his debut on an NFL field. He was hired as a back judge, now known as a field judge, and reffed his first game at Lambeau Field. In order to get some more experience as a back judge and head referee, he participated in the NFL's partnership with the World League of American Football, a spring developmental league. It paid off, as he was promoted to referee in 1992. Since becoming a referee, Hochuli has headed the officiating crews of two Super Bowls (XXXII and XXXVIII), and was selected as an alternate for three others. He was also able to utilize his law background during the 2001 officials' strike. 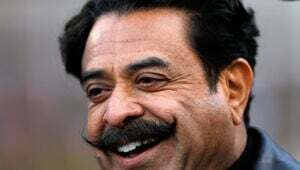 Back then, he was serving as the head of the NFL Referees Association, the union that was responsible for negotiating a new contract for the officials prior to the season. At the time, single game salaries ranged from $1,431 to $4,330 (for comparison, the average official today is paid $10,500 per game). The union was looking for a 400 percent increase in salary, though the league was only willing to offer 40 percent. Hochuli tried to convince the league that officials are full-time employees, and, after rejecting an offer from the league that would see a gradual increase in salary over the following three seasons, replacement officials were used during the regular season for the first time ever. Hochuli sent out an email to 1,200 potential replacement officials, threatening that working as a "scab" would greatly hurt their chances of ever becoming a full-time NFL official. As many replacement referees were collegiate officials, it was a warning worth heeding, though Hochuli later stated he regretted sending the email. Despite all that, the union and the league came to an agreement on September 19, 2001. The final verdict? A six-year deal from the league, an immediate increase in salary of 50 percent, and a raise each year. Not too shabby. How does being a lawyer stack up to calling a game in front of millions? According to Hochuli: "A trial is nothing, pressure-wise, compared to the NFL. You've got to be right or wrong. I love the satisfaction when you are right–and the agony when you are wrong." He's also noted a similarity between the two, in that you have to sell people on your decision, whether it's a group of fans or a jury. Hochuli lives in the Phoenix area with his wife Cathie; together they have six kids and 10 grandchildren. One of those children, Shawn, joined the ranks of NFL officials in 2014 as a line judge. Maybe one day he'll get to call a game with his old man. How Much Does An NFL Referee Make? The NFL Referees are in year six of their current eight year collective bargaining agreement, so we wondered how much they are making for the 2017 season.